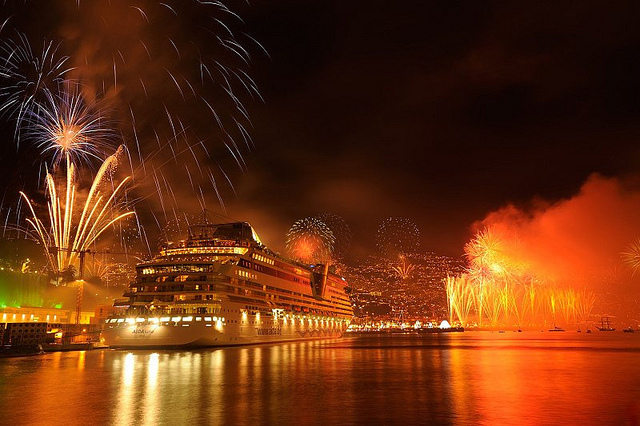 2012 is wrapping up, and 2013 is cruising in, full speed ahead! Have you gotten your marketing plan all sorted out to start the new year off with a bang? We'd like to help you out by sharing these top marketing stories of the week so you can get your marketing plan in order and catch up on what you might have missed over the holidays. But we also know that coming up with your 2013 marketing plan -- including your strategy, goals, and schedule -- is way easier said than done. So how about we lend you a hand? Please feel free to submit a request to talk with one of our inbound marketing specialists, and we'll be happy to run through your plans for 2013. What do you say? Are you ready to hop in and read about the top marketing stories this week? Let's get started! Before I give you this little recap, just hold on one second while I … YAHOOOO! Okay, now that I’ve gotten that out of the way, let’s get into exactly what this new update means for Google+ Business Page owners. Previously, Google+ Pages could only +1, share, or comment on posts from users who had already added the page to one of their Circles. But now, Google+ Pages can interact with any post from any user without these Circle limitations. A-mazing. This opens up so many doors for marketers wishing to grow their reach and generate more leads through Google+. Remember this update while you’re monitoring brand mentions and interactions on Google+, because now you’ll want to take a peek at specific hashtags (just as you would on Twitter) and Google+ Communities as well. +1 for better Google+ engagement! But how about that second part of the announcement, marketers?! How long have we been asking for Google+ analytics? Um, probably since the moment the platform launched business pages back in November, 2011. According to Google+’s “Measure” page, Google+ explains, “Data trumps guessing every time. That’s why in the coming weeks, we will be launching tools to give you access to as much data as possible about your Google+ Page and +1 activity.” Google+, you had us at “data trumps guessing.” The page activity data will include information about who’s interacting with your page (and how), your users’ demographics, and information about their social activities (this includes +1’s, shares, and comments). Now, not only is Google+ a great SEO booster and internal business tool, but it's also coming through as an excellent platform to help you market your brand, become a thought leader in your industry, and successfully measure your results. If you’d like to learn more about these new Google+ updates, read the full story here. By now, you must have heard PSY’s "Gangnam Style" -- a song that completely blew up the internet and has now officially amassed 1 billion views on YouTube. The music video was YouTube's top rising search of 2012, and on October 6th, there were more than 5 million searches for the term “gangnam style” in a single day. Absolutely incredible! Back in September, we fell in love with "Gangnam Style" ourselves and released a parody of our own called "Inbound Style." Before creating this parody, we took some tips from marketing strategist and author David Meerman Scott about how to newsjack our way into the media. He even had a cameo in our parody video -- see if you can spot him here. The original video was catchy, hilarious, and easy to parody, which is why it went completely viral. Do you want to create a viral video to help your marketing in 2013? You might want to take some pointers from PSY! To see more "Gangnam Style" stats, check out the full post on YouTube’s blog here. What are your marketing resolutions for 2013? Do you want to create a viral video like "Gangnam Style?" Increase your blogging frequency? Automate some of your social media posts? I’m sure you’ve already got a great list piling up, but that list can seem awfully daunting if you’re not sure where to start or how to focus your marketing efforts. That’s where HubSpot comes in! We’d love to chat with you about your plan (or possibly lack thereof) for 2013 to help you get more out of your marketing budget, determine how you stack up against competitors, send more traffic to your website, and more! Just let us know what you want to talk about and what you’re hoping to achieve in 2013. We’re ready to answer your toughest marketing questions. So fire away! Ready to zero in on those marketing goals? Submit your request to chat with a HubSpot inbound marketing specialist about your marketing right here. Data is great, but the marketing takeaway here is that the way you analyze data can make a huge difference in how you move forward with your efforts. If Instagram had only considered the data gathered during the “revolt," they would have completely missed the fact that Christmas could have played into the DAU data. Just remember that data shows the facts, but you have to connect the dots. If you’re interested in seeing more data regarding the Instagram “revolt,” take a look at the full post here. Over the holidays, Randi Zuckerberg, the former head of marketing for Facebook, posted a photo on Facebook (how fitting!) of her family goofing around with the new Poke app. Sounds like a pretty normal thing any Facebook user might do, right? Well, this photo was posted to a private group of Facebook friends, but was somehow found circulating around Twitter, the blogosphere, and other unexpected places.